What principle was the Master teaching here and how can we use it in the discovery or confirmation of truth? Perhaps some additional questions will get us going here. Where do we look to find the will of God? How is following our perception of the will of God a test that proves the perception true or false? We are also told that, “By their fruits you shall know them.” What does this mean and how is it a guide to the discovery of truth? What are the different fruits? Thanks for the good comments my friends. All of them are good food for thought. Obviously, I am not the only one here with teachings to help others along the path. I will, however, attempt to make several comments to add to what has been said. What principle was the Master teaching here and how can we use it in the discovery or confirmation or truth? Jesus basically told us that if we “do” God’s will two things will happen. (1) We will “know of the doctrine.” In other words, we will discover whether or not the teachings are true. (2) “… whether I speak of myself.” We will know whether the teacher just speaks for himself out of his own imagination or whether he speaks for one higher than he. “I’d love to know what God, Christ or a Master has for me to do, but I just haven’t heard any voices lately,” says the seeker. Actually you do not have to receive a divine revelation to know the will of God for there are always parts of the divine will that all can perceive. Then when that which we perceive is followed additional will is sensed and additional truth is also perceived. Try and name three things the average seeker would correctly perceive as the will of God – that all of us should “do” so the truth can be known. It looks like the Oneness Principle is at work. The group came very close to my own thoughts on this. 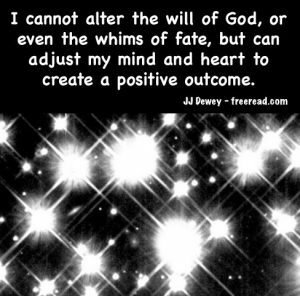 There is a revelatory principle behind the perception of the will of God which is this. All of us can perceive some aspect of that Will and when it is perceived and followed a higher aspect will be given. Then when we follow that aspect, something higher still will be given. All of us (except a handful of Dark Brothers who have completely denied the light within) perceive a part of the Divine Will as it applies to us and are struggling to harmonize with it. Even the hardened atheist or skeptical agnostic accepts this concept as a good idea to incorporate into their lives. Most of us know within ourselves that it is better to love and to give than to think of only self, and when this aspect of the will is followed to the satisfaction of the Spirit within, the person receives more light which is poured in through the soul. (2) The second one was not specifically mentioned by the group which is: Goodwill and Friendship. Extending goodwill to all and the hand of friendship to all who need it is considered a good thing to do in the minds of all who are sensitive to any kind of positive direction and this action is within the grasp of us all. (3) Practice telling the truth or non-deception. The interesting thing about this is non deception is definitely within the will of God yet one does not have to be spiritually minded to appreciate this quality. Even the biggest scoundrel likes to be told the truth; the difficult thing is telling the truth ourselves. We want the truth told to us, but many find it difficult to practice non-deception as they want it given to them. (4) I didn’t say there were just three did I? Work toward perfection. All of us sense that we can do better and that we should be taking steps to improve ourselves. (5) Be responsible for your actions and for your families. (6) Promote and advocate the principle of liberty and free will. (7) Take reasonable care of planet earth so future generations will have a pleasant place to live. Just run by these seven concepts to the average person and ask him if he thinks they are all good things to do and the chances are that he will say yes, even if he has no interest in the spiritual path. They have no great mystery behind them, but every thinking person will admit that if there is a God, and God is good, then these things would be within His Will. The trouble is that many are seeking some divine calling to fulfill the will of God when all humanity already have these seven before them and many of us are miserably failing to follow the highest we know concerning them. But when we do follow these seven with devotion the eighth stands revealed. (8) And what is that? The great principle behind number eight is service. But one may ask, doesn’t everyone believe that service is a good thing? Not really. The masses do not understand service as it is expressed in the Will of God. We all understand service for pay or even praise, but only a small number understand selfless service as it relates to the good of the whole. The correct understanding on this matter is a reward given to those who have followed the highest they know in the seven principles mentioned above. (9) When selfless service is accepted by the seeker and becomes a real plan of action for him or her on the physical plane he then can share in the Will of God that is projected to His children and this is the Peace of God. True selfless service brings forth the revelation of this Peace. This Peace is sensed by all those who diligently strive to follow the highest that they know. After the pilgrim serves and comes to the Peace then a specific aspect of the will of God will be revealed or presented before him in some way. He will become aware of a Plan with aspects higher than he can understand. Nevertheless, he will sense that the Plan is from higher intelligence than himself and great joy is available to those that participate in it. He realizes that he is only one part of many participating units, but his part is unique and he begins to sense and understand the role that he is to play. When he understands this role and acts it out he will be treading the path of great joy. If he seeks the role of another instead of his own, he will sound a note off key and become out of harmony with his brothers in service. All of us have within ourselves the capacity to recognize at least seven aspects of the Will of God and if we follow all of the Will of God that we understand then we will have the power to recognize teachers who are in harmony with that Will and we will be given a sensitivity to the truth so we will know whether of not the principles the teacher teaches are true. Excellent! So true: The trouble is that many are seeking some divine calling to fulfill the will of God when all humanity already have these seven before them and many of us are miserably failing to follow the highest we know concerning them. But when we do follow these seven with devotion the eighth stands revealed. (8) And what is that? The great principle behind number eight us service. But one may ask, doesn’t everyone believe that service is a good thing? Not really. Of all the “articles” JJ has written, I have probably have “referred to” & shared this one more than any other! ?